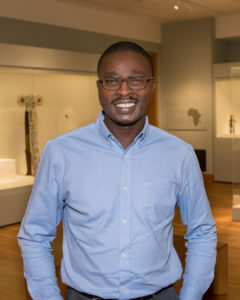 The Museum of Modern Art announces the appointment of Ugochukwu-Smooth C. Nzewi as the first Steven and Lisa Tananbaum Curator, Department of Painting and Sculpture. His responsibilities will include participating in the Museum’s acquisitions program, the installation of the collection galleries, and the development of special exhibitions and catalogues. He will join the Museum on July 22, 2019.